Every day, under Dubai’s scorching sun, Aramex drivers have to call customers for directions because of poor addresses. Every day, time and money are wasted looking for delivery locations. Global logistics giant, Aramex, operates in 69 countries, across 567 cities. Always on the lookout for innovative ideas to improve its service and customer experience, it has integrated what3words into its core systems in order to deliver to 3 word addresses. What is a 3 word address? A 3 word address is a simple and accurate way to describe any location using just 3 dictionary words. ///index.home.raft, for example, can be used to find the front entrance of the what3words office in London. 3 word addresses are accurate to 3m x 3m, giving every front door, mall entrance and delivery point, its own unique address. For logistics and delivery, the benefit is clear. Where a street address is confusing or nonexistent, a 3 word address will direct a driver straight to the 3m x 3m square to which the delivery has been requested. 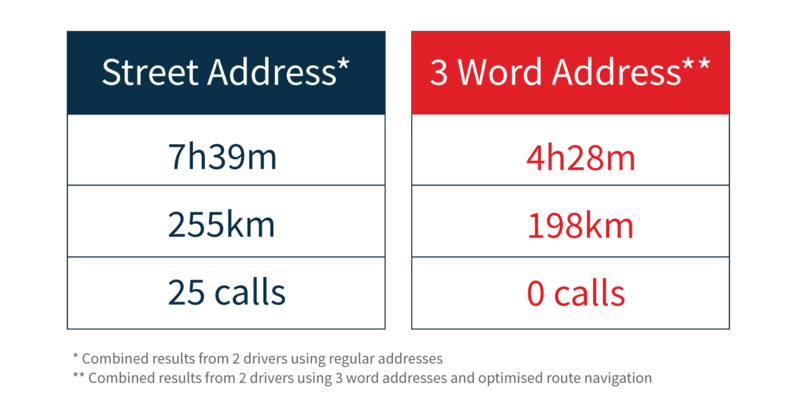 To find out exactly how 3 word addresses compare to street addresses, Aramex conducted a study in Dubai, UAE, one of its major markets. The delivery test took place in two well-addressed areas of Dubai: Al Khawaneej and Al Muhaisnah. Four Aramex drivers delivered packages to the same 100 locations. Two of them knew the areas well and used regular street addresses. The other two had never worked in these areas before and used 3 word addresses. The drivers who used street addresses spent a total of 7 hours and 39 minutes finding delivery locations, and made 25 phone calls to customers asking for directions. The drivers with 3 word addresses found all of the locations easily, without a single phone call, saving time and irritation for both customers and drivers. They were on the road for only 4 hours and 28 minutes. 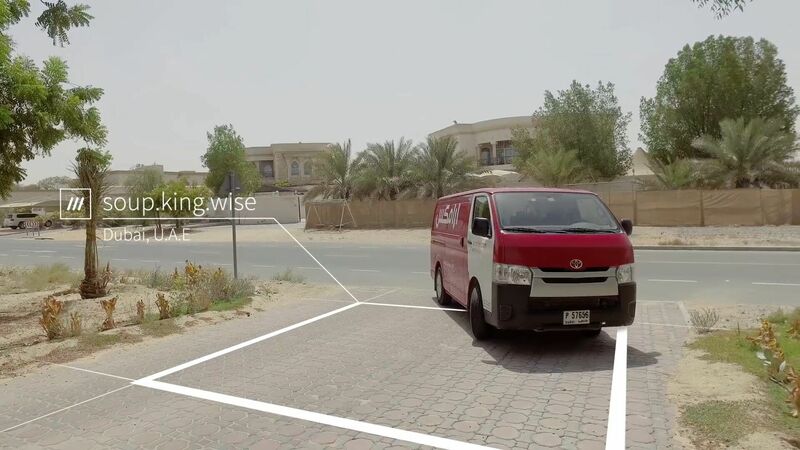 The accuracy of 3 word addresses allowed the drivers to plan their journeys using route-optimisation software, which reduced the total distance travelled from 255 km to 198 km. They drove more efficiently between deliveries, saved fuel, and cut down on wasteful circling around the block. 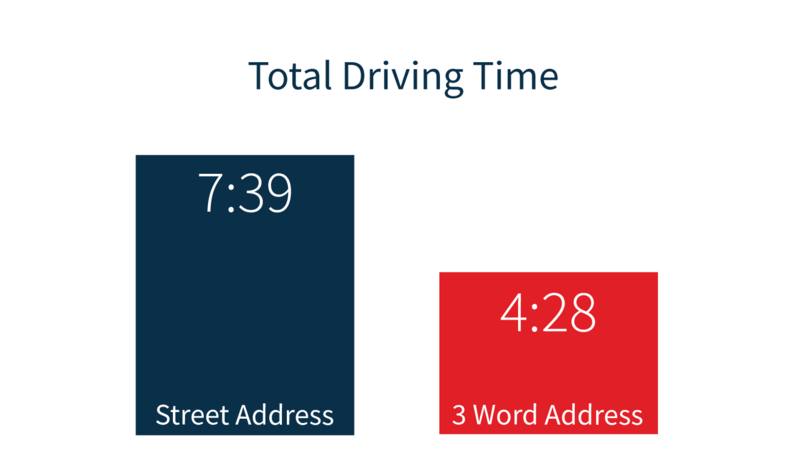 3 word addresses allowed the drivers to find their way quickly and reliably in an area they were not familiar with. They completed their deliveries overwhelmingly faster and more efficiently than drivers who knew the area very well, removing the need for extensive training of new recruits. They didn’t waste time calling customers, drove a more efficient delivery route, and had a much easier day at work. ‘The business benefits are undeniable. This is an exciting development within Aramex, that’s why we are encouraging our customers to use 3 word addresses.’, concluded Iyad Kamal. If you’re interested in integrating what3words into your logistics platform, fill in the form below and we will be in contact.